"A human rights organization that is not willing to fight for [equal political rights for Palestinians] is howling at the moon. It is meaningless." "Without political rights, everything you do is charity. Without political rights, there is nothing." "Without [ensuring] political rights you continue to be a colonialist, an occupier, an apartheidist." "There is no Israeli Left. 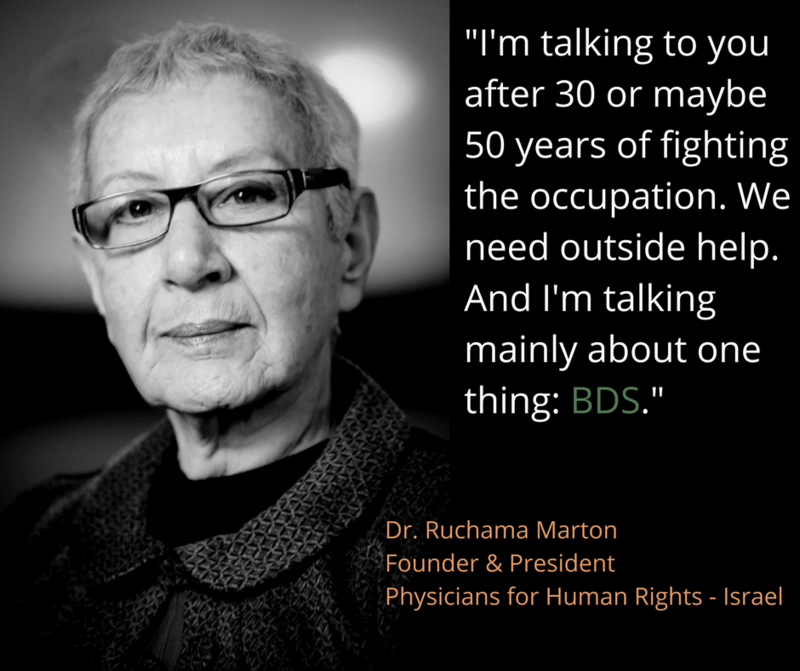 What we need to do is start Israel’s human rights organizations from scratch so that they are willing to fight to end apartheid. If they are unwilling to undertake that fight, what are they fighting for? For their own self-image." "You can’t fight colonialism, occupation, apartheid — call it what you want — by playing in the government’s court, according to the government’s agenda. You must breach those boundaries."